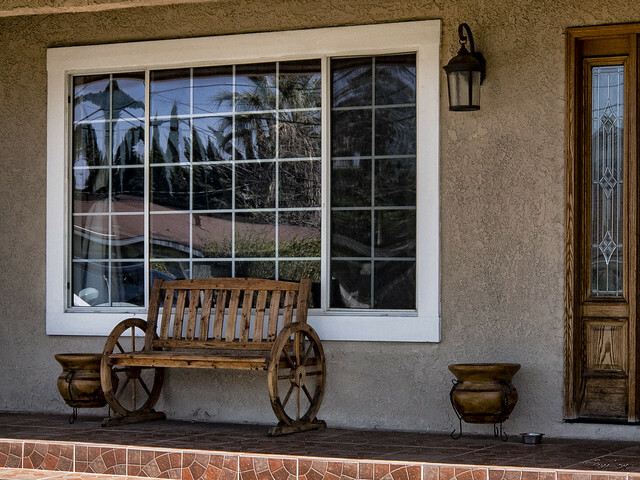 When I drive around the residential streets of Downey, I see a never-ending variety of porch decor. I particularly like this wagon-wheel bench. It looks like it could have been hitched to a pair of horses in the old days, for a Sunday afternoon drive.